Brookfield Storm Recovery Efforts continued Sunday with significant progress in restoring power and clearing roads over the last 24 hours. Crews continue to work nonstop, however, we understand the frustration for those residents who are still without power. Town offices will be open Monday, May 21. Town Hall and the Senior Center will be available as charging stations during normal business hours. Due to the magnitude of the situation, please anticipate a high call volume at Town Hall. If you cannot get through, please leave a message and someone will get back to you as soon as we are able. Showers and charging stations are available at the Greenknoll YMCA during regular business hours. Please bring your own toiletries. 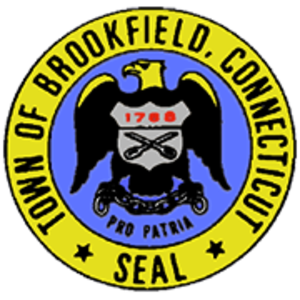 Brookfield Public Schools are closed for both Monday, May 21 and Tuesday, May 22 as there remain multiple stretches of dangerous roadway and unsafe bus stops. Town crews continue working on the town right of ways to make all of our roads safe for our schoolhouses to pass. We continue to remind you to please use generators outside and away from windows and doors - check your stove tops and other appliances to be sure they are turned off and won't cause a fire when power returns. Be sure your Carbon Monoxide and Smoke Detector batteries are fresh. If you have a chimney cap, please make sure it is clear and safe. The Town Brush Yard, located between Town Hall and the fire department, is open for residents to drop off brush. The yard can take only brush, not logs. The emergency schedule is seven days a week, 8 a.m. to 4 p.m. If you have someone bringing brush on your behalf to the yard please give them a note telling the yard they are delivering your brush with your name and address. The Town Brush Yard is for BROOKFIELD RESIDENTIAL USE ONLY. Please check the town's website often for ongoing updates and information regarding restoration and recovery efforts. Again, I want to express my thanks to everyone, included our Fire and Police Departments, Town Departments and our wonderful residents for their hard work, dedication, and kindness to our friends and neighbors at this difficult time.